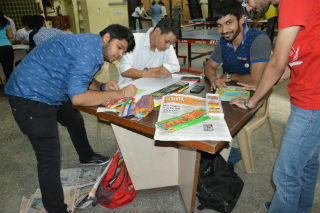 On 23rd July 2016, JIMS Finance Club organized its first Finance activity ‘POSTER MAKING COMPETITION’ for the 2016-18 session of PGDM, PGDM (IB) and PGDM (RM). The objective of the competition was to bring out the hidden creativity and knowledge bestowed within the students in the area of finance. 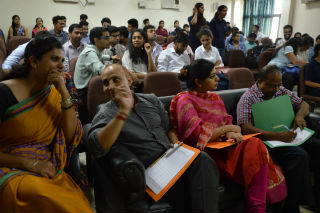 Judges for the event were Prof Bhupendra Som, Prof Sanjeev Saxena and Prof. Mahima Gupta. 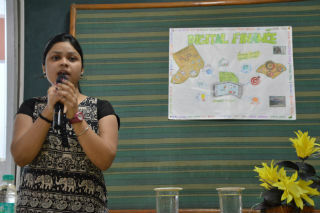 The program received an enthusiastic response from students. 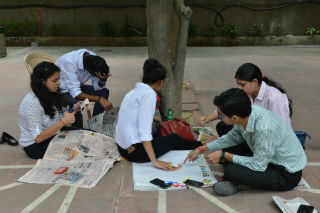 There were around 13 teams who participated in this activity. Each team comprised of five members. 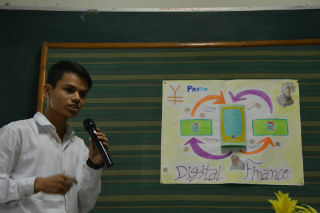 The topic for the competition was “Digital Finance” and the participants were given 1hour and 15 min for preparing their posters and showcasing their skills. 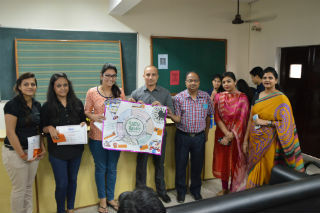 Each team was required to give a presentation on the relevance of the poster in relation to its topic. 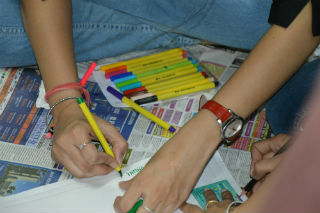 It was a true mix of colors, creativity, and out of the box ideas of the participants. During the presentation the participants were cross-questioned on certain aspects of the topic by judges. After completion of the presentations, each of the judges appreciated the efforts of all the teams and also gave them feedback on how to improve their presentation skills. 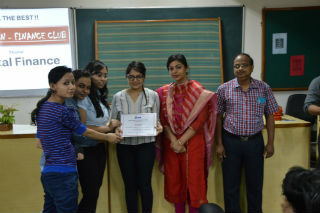 The top three were awarded with gifts and certificate. Overall the event was appreciated!